I’m very excited about this Thanksgiving. It’s my favorite holiday of the year. Sure you get gifts on Christmas, but you also spend a lot more, and it’s so commercialized now that I think a lot of people have forgotten the true meaning. I think that’s why I love Thanskgiving so much, because its all about family, showing what you’re thankful for and stuffing your face. I’m spending Thanksgiving with my family this year. It’s an arrangement between the hubby and I to do Thanksgiving with my family and Christmas with his, besides, my family are better cooks, but we’ll keep that our little secret. Happy Thanksgiving to all and be safe on the roads!! This entry was posted on Wednesday, November 23rd, 2005 at 4:30 pm in Uncategorized. You can feed this entry. You can leave a response, or trackback from your own site. 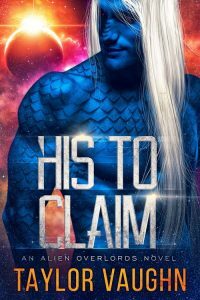 Kel D’Rek: His To Claim, Now Available on Amazon! Tempted Now Available for Purchase!!! Broken. Now Available on Kindle Unlimited! The Kyriakis Triumph! Now Available for Purchase!